Owning a business, it’s a dream that feels just out of reach for many of us. So, we settle for jobs where we are less than satisfied. We do what we have to do, instead of doing what we love. However, it doesn’t have to be that way. Working for ourselves is a reality within our reach. These days, you’ll find, starting your own online business is easier than ever. With the right platform you can have your very own online store set up in no time. Starting your online store can be done in 5 easy steps. How long it takes to get started depends on your platform, your product, and how many decisions you’ve already made. 1. Pick and Manufacture a Product to Sell. It’s really important at this step to determine what your niche is, or what type of product that you want to sell. You may select to sell products that you manufacture yourself, resell antiques or collectibles, or even choose to dropship (a great option for those that want to get started fast). Remember, a niche is a narrow field of interest. Your business, at least in the beginning, will not be able to compete with Amazon. Therefore, you need to identify what types of products you want to sell, because when you specialize you become a subject matter expert. This knowledge attracts customers who want to buy from someone who knows their product. 2. Company Name, Logo, and Branding. This is the fun part. Odds are, you probably already have your business name (even if you haven’t settled on a niche). You’ve already been dreaming of your business, and here’s your opportunity to name it. When selecting a business name, you may want to check and see if the website is available. Your logo is essential to branding for your business. You’ll want to have a logo designed for use on your product labels (if applicable), as well as on your website and social media pages. Use an ecommerce platform to build your website and get it online fast. You can choose between open source solutions, licensed options, or a hosted platform. Not only will a good ecommerce platform host your site on their servers, update when necessary, but they will also have themes to help you build your store. In fact, some good platforms have free ecommerce website templates, so you can select one based on your specific industry. Once you’ve selected your theme, it’s as simple as filling in the blanks to get you online. Remember when the world accepted cash or check? These days you have more available options. Choose an ecommerce platform that has a wide variety of payment gateways available to you. Having a successful website means being able to cater to impulse purchases, which means being able to accept a payment method your customer prefers. Shipping is another consideration. You’ll need to choose shipping options to make your product available to the widest variety of customers at the best price. You may need to price several different services prior to selecting your preferred service. Don’t forget to look at rates for international shipping, your product will be available to customers all over the world and you’ll want to know how to cater to those customers as well. Search Engine Optimization is a way to optimize traffic to your site. The important thing to remember with SEO is that it takes time, and it takes place on your site. This type of marketing takes place off site. Meaning, you’ll need to create social media accounts for your business. Post pictures, polls, announcements, anything relevant to your business. Remember, with social media, consistency is key. Google and Facebook both offer ways pay for people to see your ads. One of these ways is PPC, or pay per click. With PPC your ad is shown to a large number of people, but you only actually pay for those that click on the ad to visit your site. This can be an affordable way to use paid ads. Depending on your business you can create a partnership, or participate in one. Use affiliates to sell your product, and they only receive a cut when your product is sold. Or, participate in a program like Amazon Affiliates and share links of their products on your website. When someone makes a purchase through your link you get a cut of the profit. 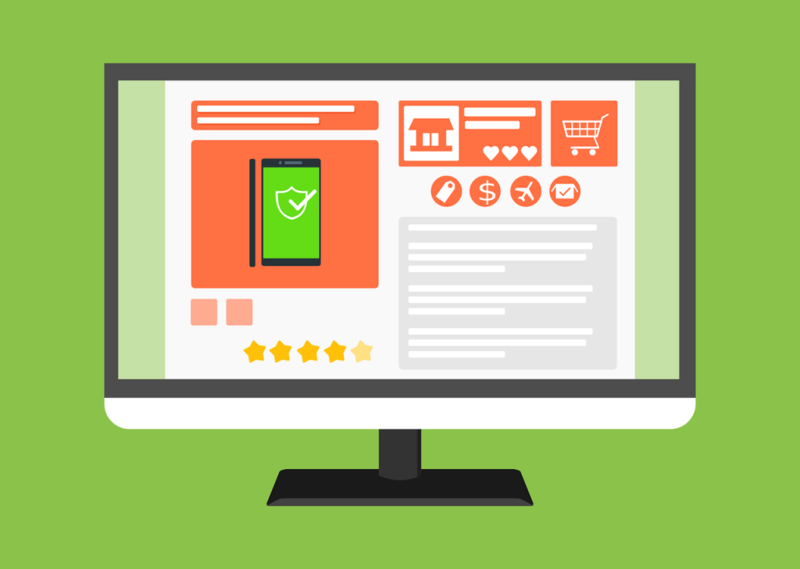 Getting started with an online store can be intimidating, but ecommerce platforms can make it an easy way to build your own business. If you don’t feel like doing it yourself, there are plenty of ecommerce services that you can outsource. You can take your passion, and transform it from a simple hobby into a business that can sustain you and your family. When you care about what you do, that’s transparent to your target customers. That authenticity builds trust, and people want to shop with a business they feel good about. Take the leap, you’ll never know how much your life could change until you try.